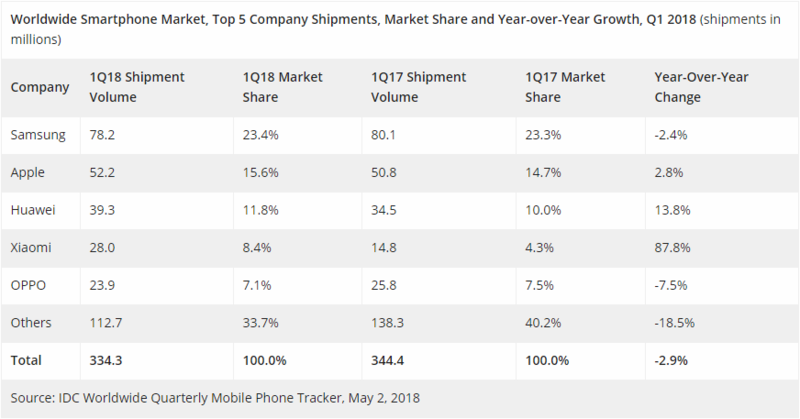 New data from International Data Corporation (IDC) suggests consumers are buying fewer phones, but several companies still saw substantial increases in shipments last quarter. 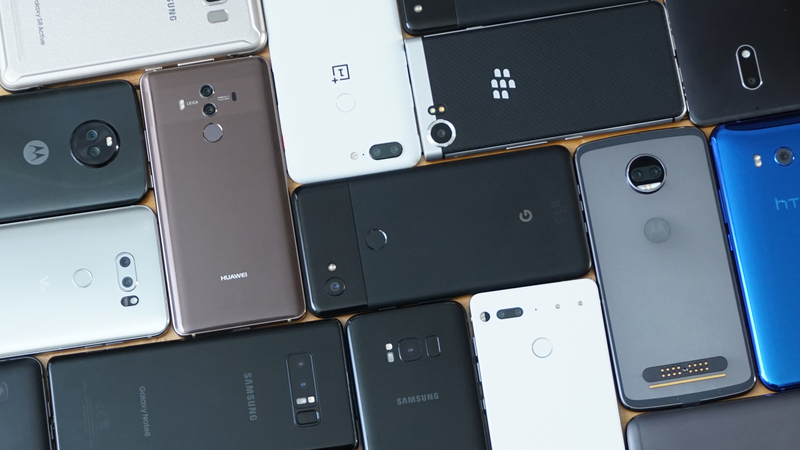 IDC blames the slowdown on the increasing price of flagship phones and the lack of new smartphone users. Still, the decline wasn't huge and we're still talking about shipments of 334.3 million in the first quarter. That's 2.9% lower than Q1 2017. IDC analysts claim that consumers have been purchasing premium phones, but they want to hold onto them for longer. Fewer consumers are upgrading to the latest model simply because it's newer. There just isn't enough incentive when all they're getting are minor improvements from one generation to the next. In addition, almost everyone has a smartphone now; there aren't very many people upgrading from a dumb phone for the first time anymore. Samsung actually saw a 2.4% drop in shipments last quarter because of this trend. However, Apple still increased shipments by 2.8%. 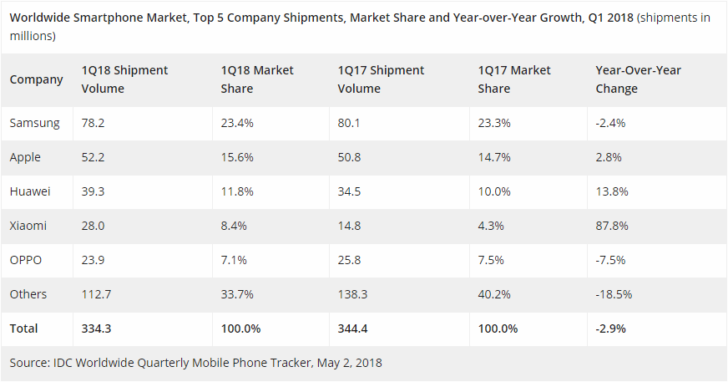 Samsung still leads with a 23.4% share to Apple's 15.6%. The Chinese smartphone market slowed just like the global market, but Huawei and Xiaomi still gained ground. Huawei increased shipments by 13.8%, giving it an 11.8% share of the global market. Huawei's tablet shipments even grew, although tablets as a whole are down 11.7%. Xiaomi saw phone shipments shoot up a whopping 87.8% in the first quarter. It's in a solid fourth place position with 8.4% of the global market—this is a very good time for it to have an IPO. Xiaomi will probably seek $10 billion on a valuation of at least $100 billion. Oppo, meanwhile, is number five at 7.1% after dropping 7.5% year-over-year.